VoIP, or Voice Over Internet Protocol, is a software that allows you to make phone calls using your internet connection. Essentially, it’s capable of creating one centralized hub for voice, data, and CRM that allows you to move your phone services over to the cloud. A VoIP systems installer is extremely important to the success of your VoIP system. But before we get into the integration of a VoIP system, it’s important to understand the essential components of VoIP. The four most important components of a VoIP system are: the Signaling Gateway Controller, Media Gateway, Media Server, and the Application Server. This component has two different names: “called agent” and “media gateway controller.” Its multiple names have to do with its multiple roles in the VoIP system. As the heart of the VoIP platform, its main purpose is creating the connection between the public switched telephone network and the world of Internet Protocol. The signaling gateway controller has seven different characteristics all focused around either supporting or generating different systems. These systems include supporting the signaling system 7 (SS7) protocol stack, voice call control protocols, media control protocols, and bandwidth policing mechanisms. However, the controller also helps with billing services by generating call detailed records. Last but not least, it provides bandwidth management control through admission control mechanisms. The media gateway transmits voice packets using RTP transmission protocol. This packetization in turn helps the interfacing between TDM trunks and the IP trunks. Media gateway capabilities vary in terms of call support as based on the capacity of onboard DSPs and the processing requirements of different codecs. The media gateway’s main functions are transferring voice in SS7 networks, supporting compression algorithms, and managing resources for excellent quality service. The media server is controlled by an application server using SIP or XML. In order for it work properly, it needs to be routed to the Media Gateway. A media server provides added features for voicemail and video conferencing. It also transmits special tones, such as service announcements, progress tones, and voicemail to email. The media server even supports interactive voice response through call routing as based on the DTMF digits dialed. The application server offers provisions for global and customer-specific services. Through this server, the VoIP system can influence call characteristics and session specifications. Because of this, the main goals of the application server are to support customized private dialing plans, provide services such as call forward, call waiting, and call transfer, as well as advanced features using PIN and remote office. A VoIP system has plenty of benefits, including a low cost. The first step to gaining the benefits of VoIP systems is switching over to one. Luckily, switching over to a VoIP system can be painless. So, how do you do it? The integration of a VoIP system mainly depends on what type of VoIP you’re using. The VoIP system is used in three different ways: as an analog telephone adapter, as IP phones, and computer-to-computer. Most commonly the VoIP is used as an analog telephone adapter. This means that it allows you to hook up your already-existing phone to your computer and through the computer to the internet. An IP phone may look like your usual landline phone (if you’re younger, you might not remember what that is! ), but it uses an ethernet cable instead of your traditional wall jack connector. This means that the phone plugs directly into your router and bypasses the computer intermediary that the analog telephone adapter uses. Third, a VoIP system can be used for computer-to-computer interaction. This last type of calling service is entirely free and focuses on creating a connection between two computers. Let’s start with the simplest one to integrate. Computer-to-computer connection is not only the cheapest form of the VoIP system, but is also the easiest to integrate. To start with, you only need three different things. First, you need to find software on the internet which allows you to make calls. Some examples are Skype or Zoom. Next, you need an excellent internet connection which will allow you to contact another computer. Third, you need the appropriate hardware for your computer. This includes a microphone, speakers, and sound card. If you have all of these different parts, you’ll be all set up and ready to go just by enabling the computer hardware and following the directions for the internet software of your choice. Integrating a VoIP system as an analog telephone adapter (ATA) and IP phone is a little bit trickier. The integration process is similar for both systems, however. There are six steps to follow until your new system is up and running. First, figure out how many phones will be used in your office. The last thing you want is to integrate your entire VoIP system only to find out that you didn’t include enough user numbers for all of your employees to communicate effectively. Determining the number of lines needed will also give you a better vantage point for the second step. Next, you need to double-check your internet connection and make sure it can handle the increased bandwidth of a VoIP system. This is another essential step in integrating a VoIP system. 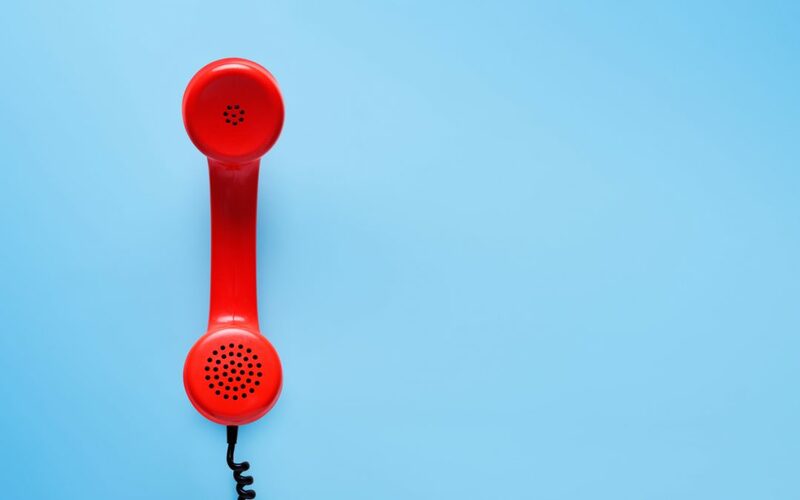 If your internet can’t handle the increased workload, you could wind up with bad call quality or dropped calls – otherwise known as a surefire way to decrease the quality of your client’s experience and even lose customers. Besides internet and user numbers, you’ll also need to have a very clear idea of your budget. The cost of VoIP can vary greatly. A computer-to-computer connection can be free or close to it, while other systems can cost around $70. If you don’t have a clear idea of your budget before you begin, you could wind up with a service that is too expensive for what you can afford. Part of helping you decide on your budget is deciding what features you need in a VoIP phone service. The premium plans with more features are, clearly, on the higher end of the pay scale, while the lower-end of the system just gives you the bare bones of VoIP. Without an accurate picture of your budget, you could wind up paying too much for what you need or lacking the correct features for your business processes to operate smoothly. Choosing a VoIP systems provider can have a huge impact on your VoIP experience. The right systems provider will be able to meet your budget, feature needs, and the ease-of-use that you require. Perhaps one of the most important things to look for is excellent customer service. Here is where you start to see the split in integration between analog telephone adapters and IP phones. In order to make your analog telephone adapter work, you’ll have to order the specific adapter piece that will connect your phone to an ethernet cable. But, if you want to experience the full range of VoIP capabilities, you will need to purchase an IP phone. These phones are available in a wide variety that can suit your budget and requirements. However, make sure that you know what you’re looking for, so you end up with excellent quality for the price you’re willing to pay. This is the hardest part of VoIP systems integration. If it’s in your budget, it is highly recommended that you hire a VoIP systems installer. In some cases, you may be able to plug your phone into the ethernet and be all set to go. However, there may be firewalls in place as well as other hidden obstacles you may not be aware of. A VoIP systems installer will be able to guide you through all seven steps of this process. If it’s your first time using VoIP, you’ll want a team with experience to guide you through each step and help you along the way. For each of these seven steps, you could miscalculate the number of lines you’ll need or the correct budget for the features you want. If this happens you could have to start over entirely and scrap everything you’ve already done. However, even if you’re confident in your ability to complete the previous five steps, it is still a good idea to hire a VoIP systems installer for the last part of the process. Their years of experience and knowledge will far outweigh any do-it-yourself video on YouTube. You may also find that a VoIP systems installer can recommend excellent providers within your budget, as well as benefit you with their pre-existing relationships with other VoIP providers. Many installers can also provide the VoIP phone service for you. This means less coordination on your part as well as a lower likelihood of mistakes or lost communication throughout the process. Here at Medlin Communications, the VoIP phone system is a large part of the Medlin System. At Medlin, we’re ready – with a team of experts who can evaluate “hosted” systems, VoIP and telephone services “in the cloud.” In this brave new world where your entire environment is a communications department that needs to move quicker, let Medlin help you scale up your operations with the right technologies, leaving all the limitations of basic voice systems behind. If you’re looking for the right VoIP systems installer for your business, you’ve found it. Contact us today, we look forward to helping you with your new VoIP phone system.